Lecture in German by Franz Linsbauer, illustrated by examples of music and short film clips. 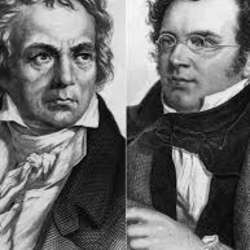 In Protected content Protected content of the greatest composers died in the suburbs of Vienna: Schubert and Beethoven. We will learn more about their illness and death and about the Viennese funeral culture at that time. We will meet at the lecture room at 6:45 p.m. Please be on time, the lecturer starts punctually!! Looking forward to the lecture and to meeting you there! !